In an online gambling market that is showing signs of online poker, blackjack and other table games being on the decline, there is one online casino which is increasing in player traffic. 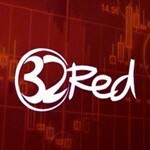 32Red is well known for their online poker titles, rather that be live or video based and various other table games such as roulette. There is also an array of slots and it seems the combination of all their platforms has allows for a 22% increase in active players. The increase in player activity also means that there is an increase in profit for the casino. During the last quarter this casino was able to earn an extra 18 Million Pounds compared to this time last year. This is an astonishing amount which has allowed for this casino to hold its head high with pride while so many others must hold their heads down in shame. Mobile gambling has also increased for this casino. An increase of 32% player activity is apparent with their mobile casino and due to this 32Red now holds 20% of the overall mobile gambling market within Great Britain. Since this casino is doing so well it seems that 32Red will now be focusing their efforts on Roxy Palace, a well-known online casino they acquired only a few weeks ago. If this casino is able to reach the same player traffic that 32Red has then “32Red PLC” will control a large majority of the online as well as mobile gambling markets within Great Britain.